Maybe the best way to avoid many of the pitfalls and one-size-fits-no-one approach of ObamaCare is to just say, “no thanks”. Before some readers accuse me of encouraging folks to forego insurance or “break the law”, let me explain what I mean. First, from a pure economic risk standpoint, I would never encourage any potential patient (anyone) to not have some form of high-end risk protection from unexpected/expensive medical bills. The problem is, the ACA makes it very difficult to just insure the big ticket items. It takes the economically perverse model of expensive first-dollar benefit / largely prepaid policies that predated ObamaCare and makes them even more cost-ineffective. It does so by packing policies full of “essential benefits” that many don’t want or need; and that tend to be the least expensive elements of healthcare to begin with – such as preventative screening, contraception, mammograms, physicals, risk factor assessments, etc… To add economic injury to insult, ObamaCare’s perverse incentives encourage insurance companies to keep network choices narrowly restricted to those providers and facilities willing to accept the lowest payments. If you then factor in the higher premiums (unless you qualify for subsidy) for all the front-loaded benefits and very high out-of-pocket costs for anything other than preventative medicine, then you have what amounts to double (or triple) insurance- jeopardy! Second, as a law-abiding, tax-paying good citizen, I could not in good conscience propose that folks participate in an outlaw scheme or risk a financial penalty for not having insurance; that risk is for each individual to decide. Now with that said, if you don’t get a refund on your taxes, the IRS really won’t extract a penalty for not having insurance. Technically, they could still press the issue if they find out. Anyway, I digress. I guess what I mean by people saying, “no thanks”, is saying “NO” to the whole third-party billed reimbursement scheme that healthcare has lived under for the past 40 years; the same scheme that has led to run-away costs and the manufactured, totally avoidable crisis that led to the debacle that is ObamaCare. 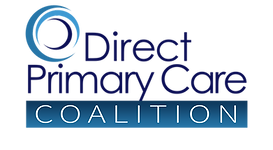 The answer: Direct-Pay Medicine for most all of our routine medical care that occurs outside of a hospital or expensive specialty procedures & treatments. I have written about this here and here. Find other great articles here, here and here. The collective force of this kind of market movement is the only thing that can truly reverse the cost curve, while increasing access thus getting us closer to universally available coverage.